This boat is a Sloop with a Fractional Rig, and 247 sq. feet of sail area. She has 4 Sails, Including Main Sail, Genoa, Jib. She has a Full-keel. The Hull is Professionally Awlgrip, and is in Recently Restored condition. 1 Tohatsu Gas (Outboard) Engine, 6 horse power with Low Hours. Mainsail with 2 reefs. 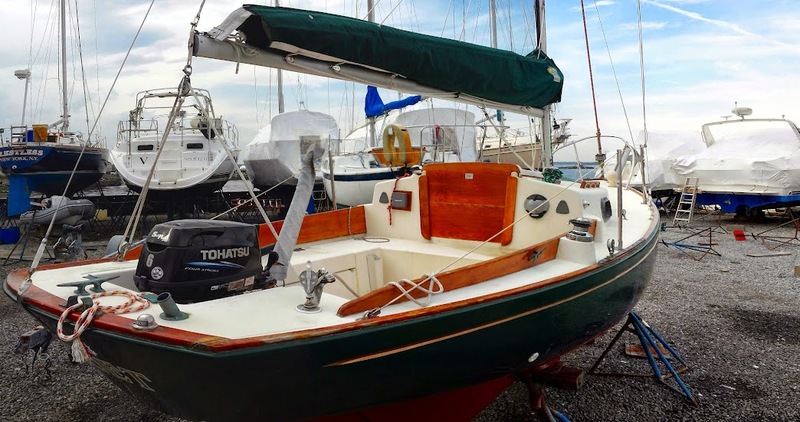 (New 2011), Doyle Stack Pack (New 2012), 165% genoa in very good condition, 135% Doyle genoa (New 2014), Profurl head sail furling in excellent condition, Lewmar 16 self tailing winches (4), two Lewmar winch handles (New 2013), Outboard Tohatsu 6hp Sail Pro 25” shaft with alternator, Three gallon fuel tank (New 2012) Mounted in lazarette, Standard Horizon-Explorer Series GX1700 VHF black (New 2014), Depth Gauge Raymarine ST 160 (New 2012), Raymarine Wind Speed System T112 and T120 Solar powered (New 2014), Plastimo Compass on cockpit bulkhead, Focsle cushions w/ 5” foam, blue and in excellent condition, blue Sunbrella Quarter berth cushions with foam (New 2013), Halogen reading lamp in focsle, Head with holding tank, macerator pump, Jabsco manual toilet (New 2013), Cockpit cushions, Bottom Siders (New 2013), Origo alcohol stove Model 1500 singleburner Never used, Jib and main sheets (New 2013) All halyards recently replaced, Battery, Galley with sink, large icebox with drain, Two fresh water tanks Total 23 gallons, Hull Awl griped green 2010, Bottom painted 2014, Bruce anchor with tubular stanchion mount on the bowsprit 15 ft. chain and 150 ft. ½” anchor rode, All US Coast Guard required safety items including life preservers, flares, Docking lines and three fenders, Bowsprit with lifelines, new weatherboards,Bronze opening portals, opening hatch in very good condition, Winter Cover. Now is your chance to be a part of Yachting history with the Sea Sprite 23 Weekender that has all the bells and whistles you've been looking for. 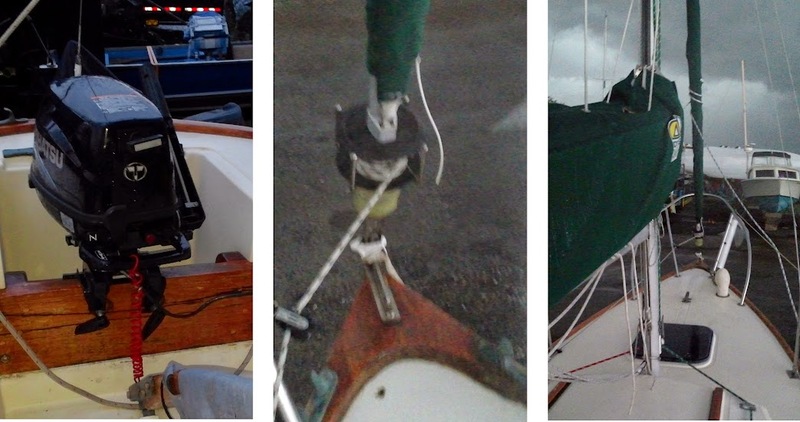 That's because from stem to stern she has been upgraded to the max with the latest sailing gear and equipment. 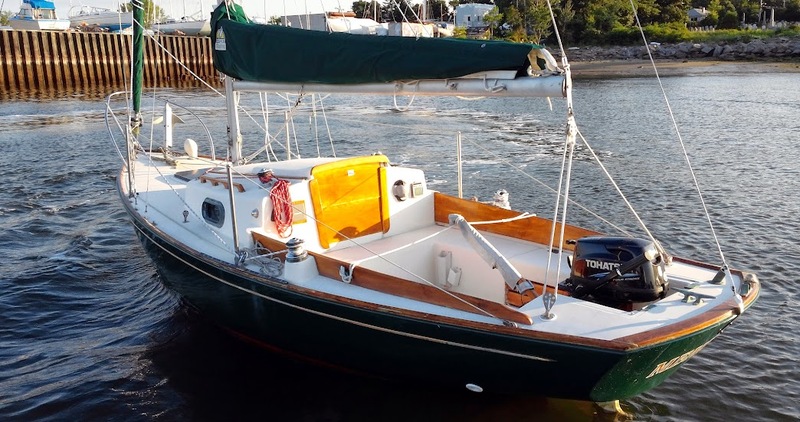 You will feel in total comfort aboard a real sea-going vessel, because this 22.5 foot Alberg designed sloop, final year of construction, is the quintessential compact passage-maker in under 23 feet. This Sea Sprite has been meticulously cared for and maintained to near perfect condition with her coastal cruising roots kept in mind. Her nearly new Awlgripped hull, along with four self-tailing winches, New Doyle Stack-pack, roller furling and countless other cruising essentials, will have you sailing to any destination. There is nowhere you can't go. 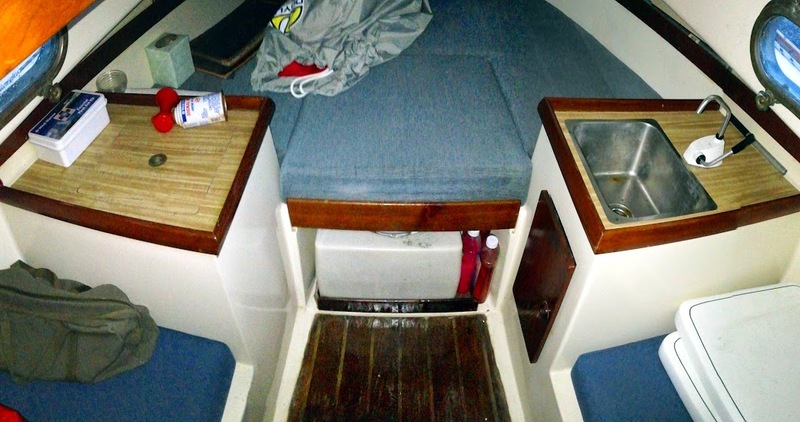 Below deck you will feel in comfort and luxury. Her generous owner has accommodated her with brand new cushions and canvas. 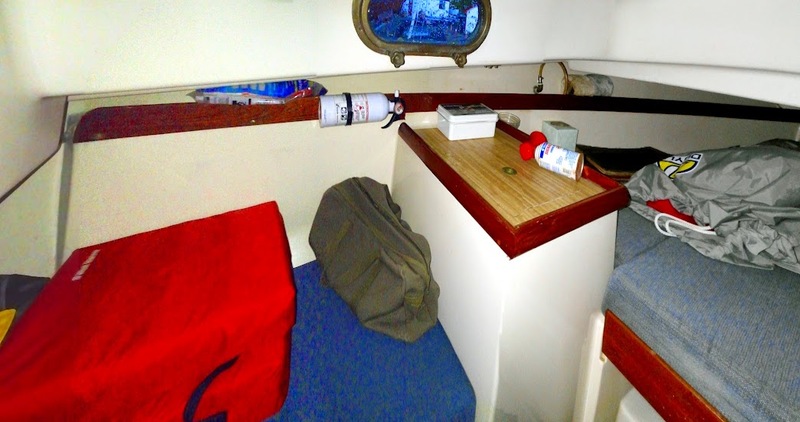 An Origo alcohol stove is at you disposal to prepare meals at sea, and a full head and holding means her crew will relax and enjoy being aboard for any extended period of time. Glistening teak bright-work adourns her on deck, the envy of cruisers all around as she sits at the mooring catching their eye. Her sail inventory is vast, and recently acquired. It includes a brand new 135 Genoa, 165 and a double reefed Doyle mainsail with a single season. 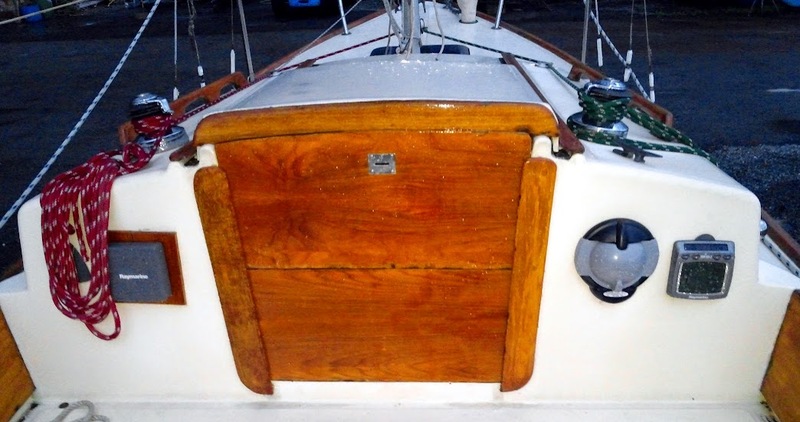 Halyards and sheets are also recent acquisitions that add to the reliability factor that comes with owning a completely reliable and restored classic sailboat. The works are at your fingertips on this compact yacht. 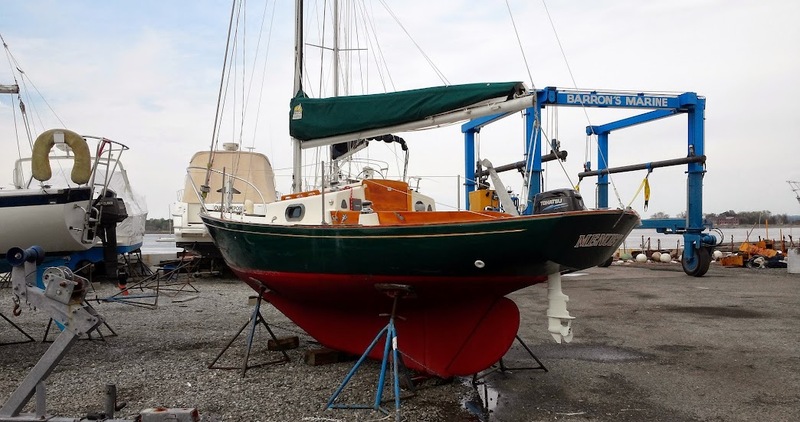 Her numerous upgrades and annual maintenance have made her the finest Sea sprite 23, as well as a rival for any well equipped yacht on the Long Island Sound. 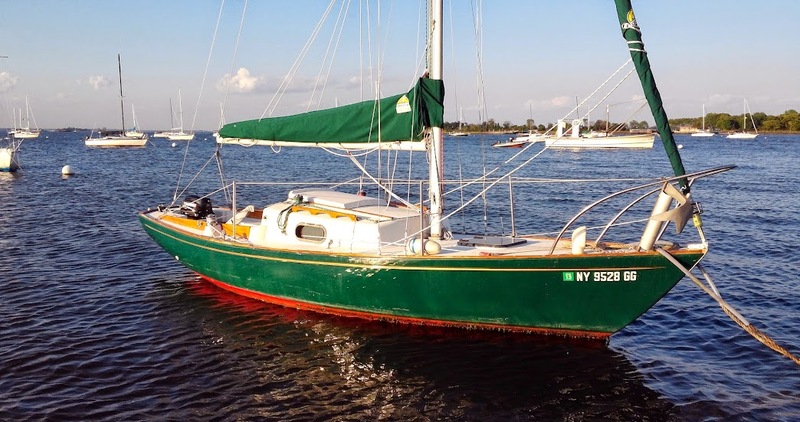 If you are looking for the finest cruising sailboat on the Sound, then look no further for this Sea Sprite 23 Weekender is the right choice for you. She sits on the hard in City Island, ready to make your cruising dreams reality.